Users have been trained to type keyword queries on search engines. However, recently there has been a significant rise in the number of verbose queries. Often times such queries are not well-formed. The lack of well-formedness in the query might adversely impact the downstream pipeline which processes these queries. A well-formed natural language question as a search query aids heavily in reducing errors in downstream tasks and further helps in improved query understanding. 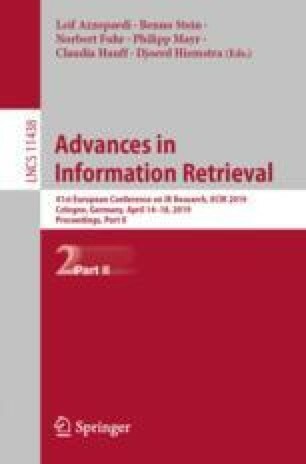 In this paper, we employ an inductive transfer learning technique by fine-tuning a pretrained language model to identify whether a search query is a well-formed natural language question or not. We show that our model trained on a recently released benchmark dataset spanning 25,100 queries gives an accuracy of 75.03% thereby improving by \(\sim \)5 absolute percentage points over the state-of-the-art. B. Syed and V. Indurthi—Authors contributed equally.